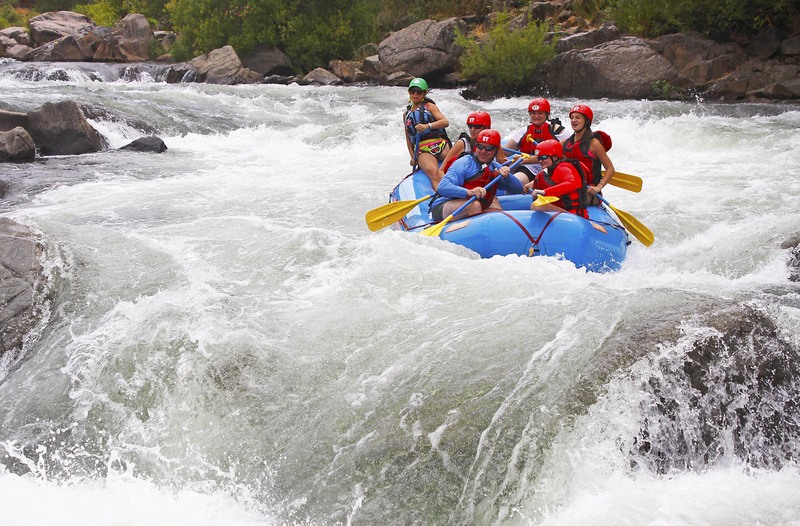 plus $8 per person county and state river access fees. 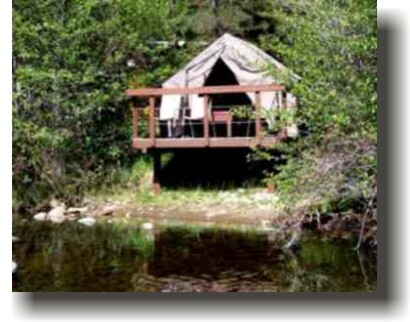 Includes one night of camping, breakfast and lunch. Trips available every weekend April through October and daily June through August. 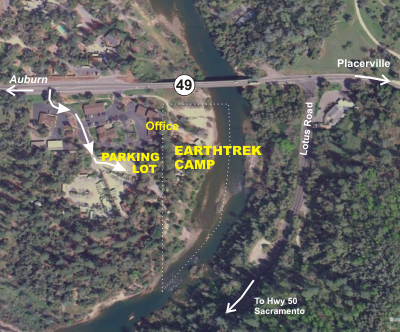 Arrive the night before your trip after 5 PM for your night of camping. Breafast the next morning at 8 AM and then we will shuttle you up to the Chili Bar put-in where we begin our thrilling 8 mile run. The action begins immediately with Meatgrinder, followed by numerous rapids including Racehorse Bend, Rock Garden, Triple Threat and climaxed by a mad dash through famed Troublemaker Rapid. Our trip ends as we pull ashore back at our camp where your guides prepare a tasty barbecue lunch. 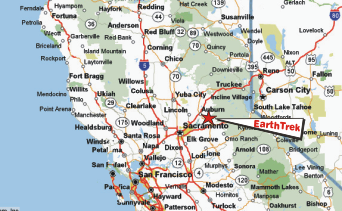 The trip concludes at about 2:30-3:00 PM. 1 day South Fork Chili Bar trips are scheduled to depart every Saturday and Sunday from April thru October, and daily June thru August. 9:30 AM, Arrive at our camp and check in. Board the bus or van for the 20-30 minute drive upriver to the Nugget at Chili Bar. Our trip concludes at around 2-3 PM as we say goodbye and hope you will return soon. 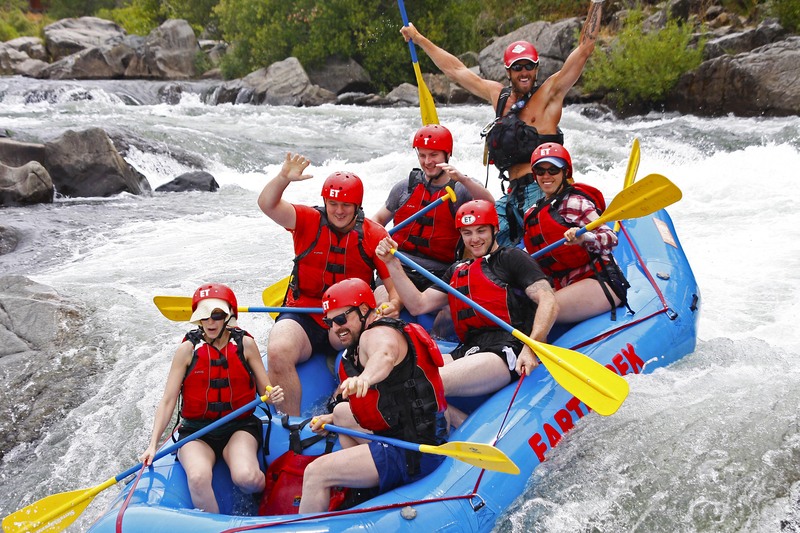 From San Francisco Incredible Adventures operates 1 day tours with bio-diesel minibuses to the American River. 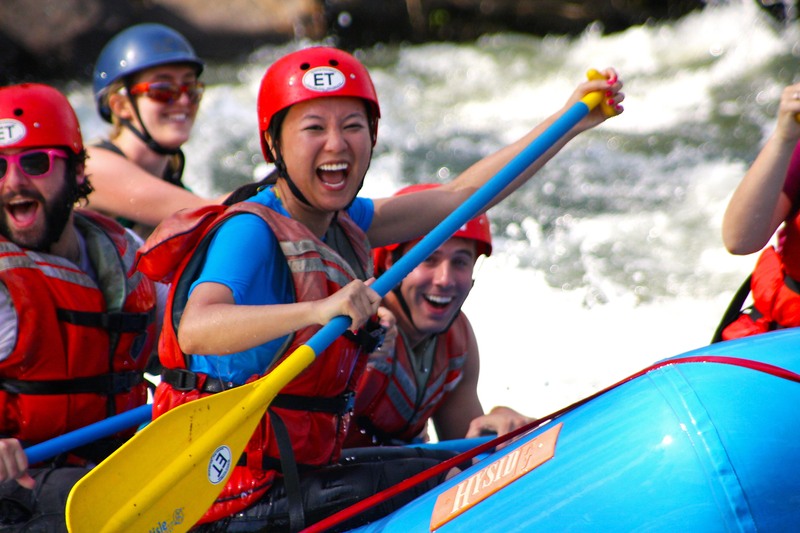 Generally, just about anyone in reasonable health and fitness can go rafting. 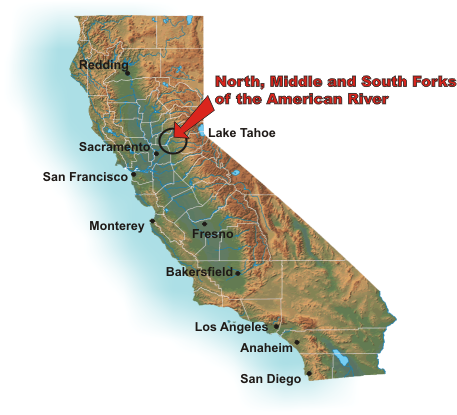 The minimum age for a child on the Class III South Fork American river (under normal water flows) is 7 years old and a minimum weight of 55 pounds. During times of high water flows we may need to increase the age minimum to 12 or 14, depending on the water level conditions. There is no maximum age although anyone over 60 should be in good health and perhaps consult with your physician if you have any concerns. If you are pregnant, extremely overweight, or have back or heart problems, we do not suggest a raft trip. Swimming skills are not a requirement since your safety jacket will keep you afloat, but it is recommended that you not have a fear of the water. You will be sent a checklist of what to bring when you make a reservation or you can view a checklist on our web site. 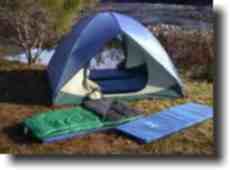 Basically you will need to bring a sleeping bag, a foam pad or air mattress, and your personal clothing and toiletries. A we t suit is essential during spring trips when the water is cold and the weather is more unpredictable. For participants of EarthTrek operated trips, we can provide low cost rental wet suits, tents, sleeping bags and foam sleeping pads. NOTE: Camping is not included on one day trips but you have the option to add camping to your trip for $10 per person per night. 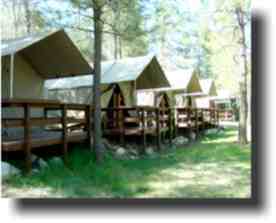 Cabin tents, river front tents, and cabin are an additional charge. We returned home last night from your Saturday Lower South Fork trip and shared the trip with our family. We had a wonderful time! Everyone was so helpful and willing to help us. The whole experience was great from the rafting to the food. We will recommend EarthTrek to friends and family as we will be planning a group trip for the 2 day experience in the future. Until then, thank you.